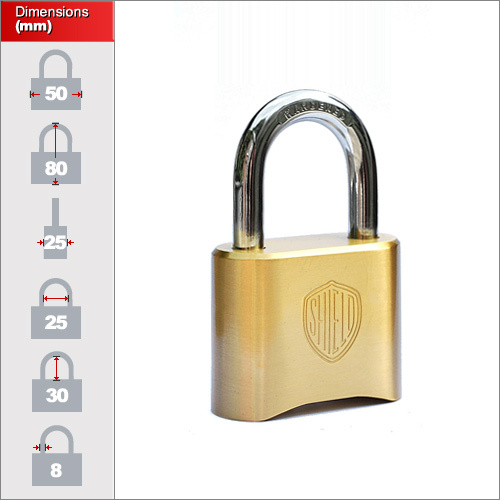 This is the largest version of the brass combination padlocks and as such incorporates a stronger body, hardened steel shackle and special resettable 4 digit code that can only be changed using the security key provided. This enables you to give access to other people without the risk of the code being changed. It is important to note that this is the standard version and so does not incorporate a stainless stackle and mechanism. It is suitable for outdoor use but for a fully marine grade lock that is 100% resistant to rust then choose the weatherproof combination padlock. 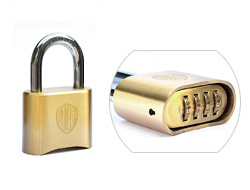 This is the largest brass combination padlock we do but we do a smaller range here. We also do a long shackle brass combinddation padlock.